Ease of use. I don’t mean ease of recipes, because not everything can–or should–be cooked in 10 minutes with just 5 ingredients. However, instructions should be clear, easy to follow, and appropriately detailed. Deliciousness. If the results don’t taste great, what is the point? Honesty. If a recipe says it’ll take 20 minutes but takes an experienced cook 45 minutes, that’s a bit dishonest, and every unfair to the reader. Similarly, if a recipe calls for expensive ingredients for the mere sake of showing off and not because it adds much to the end result, that is dishonest. Basically, readers are entitled to know what they are getting themselves into with a recipe. If the selection skews somewhat toward the porcine, it’s because of what meat I had on hand. In hindsight it was a cruel fate for a pig to meet. The ramen, starring a base of ham stock, was the saddest, blandest excuse for a bowl of noodles I have ever eaten. Maruchan is a better option and will only run you about 20 cents if you get it in a 6-pack; it’ll still be delicious under $5 if you add a bit of spam and mushrooms in a satirical take on old Martha’s try. The Cuban pork shoulder was passable, though perhaps–out of respect–it should omit “Cuban” from its title, lest anyone from that island be slighted by association with such lame flavors. The smell of it was actually heavenly, but the taste left much to be desired; it was at least fixable. The Alabama-style pulled pork suffered from a similar smell/taste disconnect, though it was far beyond redemption with herb or spices. 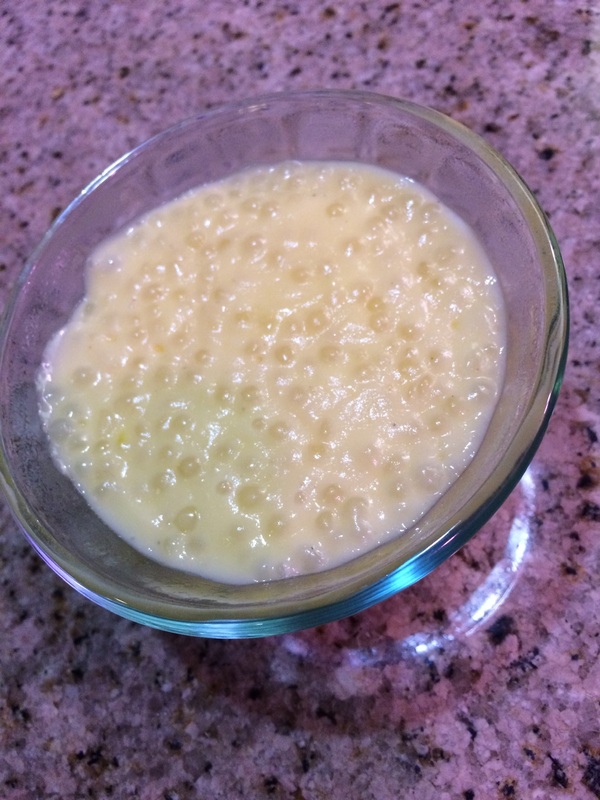 The tapioca pudding was a gelatinous mess, not at all as chic as the authors intended with their fancy (read as: expensive) use of saffron and cardamom. Hello, blob of congealed tapioca. Goodbye, wasted pinch of saffron. By the time I got to the preserved-lemon and white-bean spread recipe, I was cautiously optimistic. Yes, it was annoying that the recipe called for beans cooked in the instant pot with no seasoning. Yes, it was annoying that the instructions for that were on a different page, and that pretty much all of the bean/legume recipes in that chapter referred back to that page. But I’d already ordered the preserved lemons needed to make this thing, and so I was ready to roll. At least, I was ready to roll until–after getting my beans and other ingredients ready–I saw that the ingredients included garlic that had already been cooked in the instant pot separate from the beans. I have a deep hatred of recipes that deceptively require extra processes within a process, so I pretty much lost it when I saw this. Suffice to say that I did not find myself in the right mood to attempt the recipe, and threw the book in the Return to Library pile. Ire about the bean chapter aside, I really only have two complaints about this cookbook. Chief among them is flavor–the things I tried out all smelled great and gave signs of promise, but in the end disappointed my tastebuds. My second issue–and it’s intimately related to the first–is that I was deceived by this book. Anyone familiar with the Martha Stewart brand would expect to find tried and true recipes that had been thoroughly tested. Instead, it seemed that this book threw together recipes that may have appeared previously either in print or online, and attempted to adapt them in time to cash in on the pressure cooking craze. The general layout of the book–and the recipe-within-recipe issue I noted above–just added insult to injury. Verdict: At 1.25/3 stars, you should honestly skip this book. If you absolutely have to give it a try for yourself, borrow it from your local library or a friend before committing to buying it. If you like taking a mediocre recipe and tinkering with it to make it your own, there may be some redeeming value in owning a copy, but do note that you will need to season much more aggressively than any of these recipes indicate. My Cuban-inspired shredded pork. It turned out much better than the bland version I tried earlier last week. If you have an Instant Pot and are excited to try some new recipes, skip this book and hold out for one that has some thoughtfulness and solid recipe testing behind it, like Melissa Clark’s Dinner in an Instant. 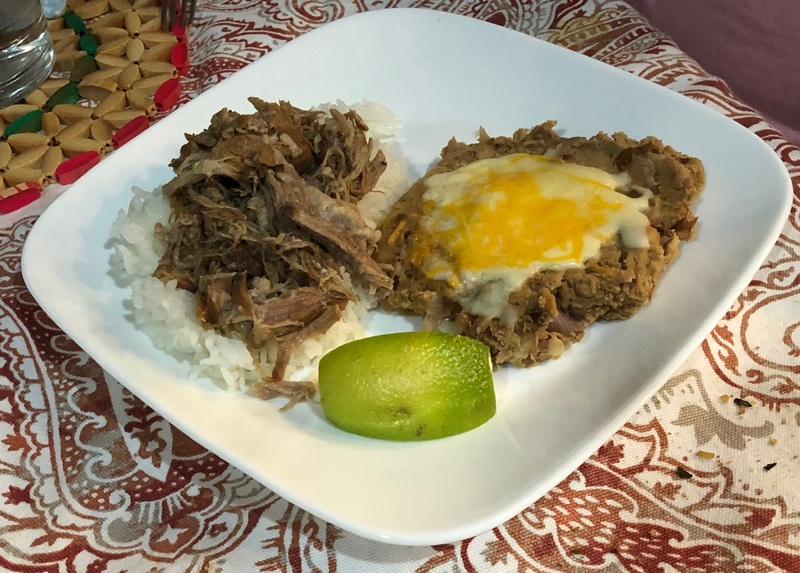 In the meantime, feel free to make my Cuban-inspired shredded pork recipe, which is my own improved spin on the pork shoulder recipe I tried last week. If you’ve had and enjoyed ropa vieja before, you’ll find this shredded pork texturally similar, but with much brighter flavors.